KNX bus to residential Daikin interface. 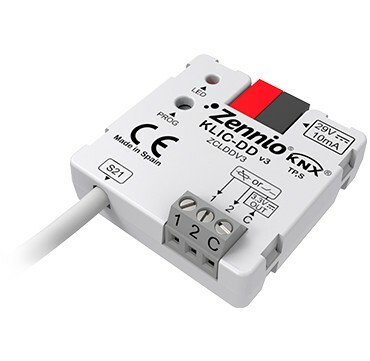 KLIC-DD is a bidirectional communication interface for integrating domestic air-conditioning units manufactured by Daikin with KNX. It includes 2 analog-digital inputs for temperature probes, motion sensor or dry contact binary inputs (switches, sensors or push buttons) and 10 logical functions.